SHB60, 5+ string bass guitar from Washburn in the Stu Hamm series. Washburn launches at NAMM 2012 three new Stu Hamm Signature bass models, as well as a fretless version of the SHB3. 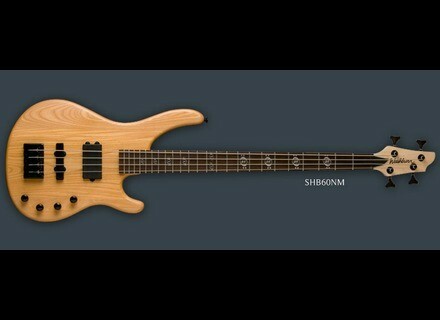 More details are available on www.washburn.com/products/basses/sh. [NAMM] Yamaha RBX170EW Bass Yamaha introduced its new RBX170EW electric bass, a model made of exotic wood coming in three different finishes. [NAMM] 2 Warwick Bootsy Collins Basses Bootsy Collins was at NAMM 2012 to showcase its new Signature basses by Warwick. [NAMM] Genz-Benz Focus LT Series Genz-Benz introduced at NAMM its new Focus LT series of 4 new bass cabinets.